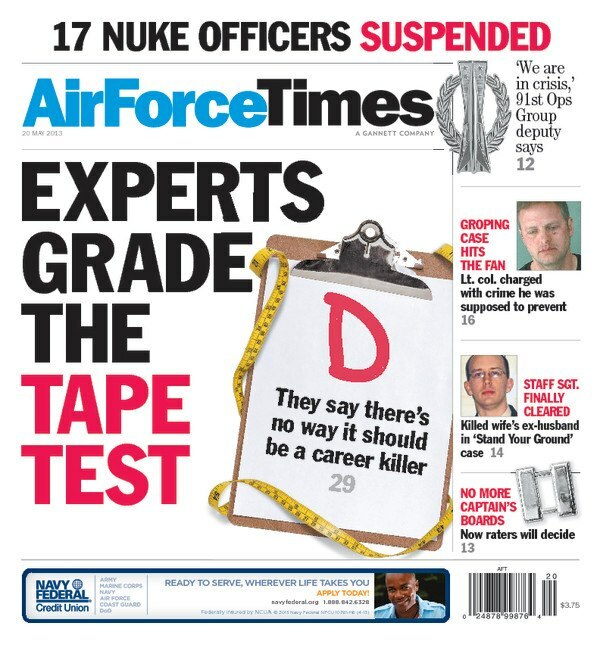 In this week’s edition, the Air Force explains why Lt. Col. Jeff Krusinski met the criteria needed to be the branch head of the air Force’s Sexual Assault Prevention and Response Office. Krusinski’s trial in civilian court on a sexual battery charge is slated for July 18. Also this week: A jury has acquitted an airman for shooting his wife’s ex-husband, who assaulted the two on their wedding day. Staff Sgt. Jason Rolls’ attorney calls the incident a clear-cut case of the “Stand Your Ground” self defense law. Meanwhile, the Air Force’s T-38 trainer won’t be operational by 2020. On a somber note, Air Force Times pays tribute this week to three members of the 93rd Air Refueling Squadron killed when their KC-135 crashed in Kyrgyzstan. And combat camera airmen were on-hand when two U.S. service members participated in a French military desert survival training program in Africa for the first time since a soldier suffered heat stroke last summer during the training.